The story of William Wallace is central to the survival of Scotland as a nation and his victory at the Battle of Stirling Bridge in 1297 spread the fame of Stirling far and wide, according to contemporary reports. With 22 portraits of Wallace included in the 500 items in the Stirling Smith collections which reference the Wallace story and the presence of the Wallace Monument since 1869, Wallace is well-remembered in Stirling. But there is more to the story. Wallace’s co-victor at Stirling Bridge was Andrew de Moray, who died of his wounds not long afterwards. The surviving letters to the towns of Lubeck and Hamburg, inviting trade with Scotland after the war, make it clear that Andrew de Moray and William Wallace were Guardians of the Realm when Scotland had no king. This concept was unique in European history. The Guardians of Scotland Trust’s exhibition of the proposed art work for Wallace AND Moray, to be sited at Stirling Bridge is at the Smith until 2 September. 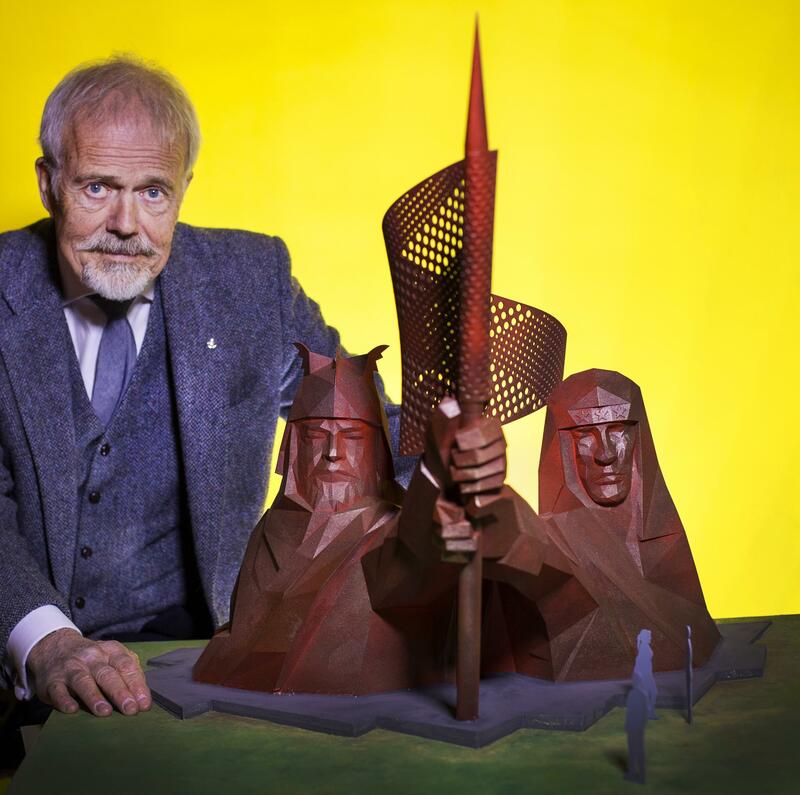 Shown here is the eminent Scottish sculptor Malcolm Robertson with his model of the work, (photo credit: Drew Farrell) to be constructed in corten steel at the Old Bridge. This is a proposal which will embed Wallace and Moray in the landscape. It is the first major public artwork since the Bannockburn statue of 1964.